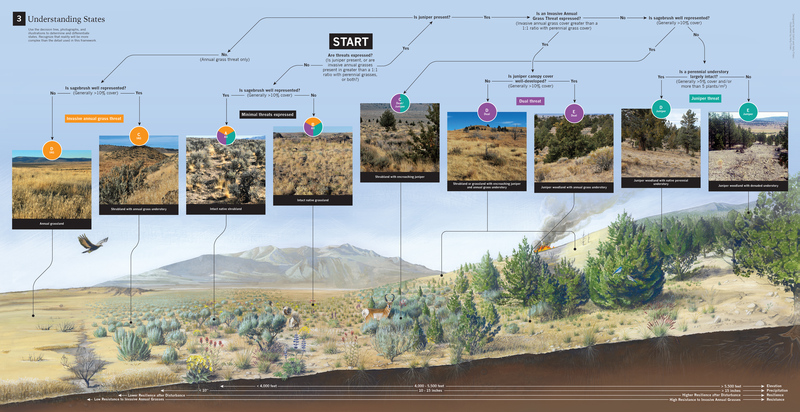 This graphic is the centerpiece of a new guide to managing western sagebrush landscapes threatened by expanding juniper woodlands and invasive grasses. It combines metrics, photographs and illustrations to help land managers categorize a massive and complex landscape into 9 different states. By understanding the extent and severity of these important threats, managers, ranchers and other stakeholders can work collaboratively to prioritize and improve rangeland health. Are you sure you want to vote for %s?